Available in sizes from 60 to 240 inches diagonal in video format, and 92 to 159 inches diagonal in HDTV format. 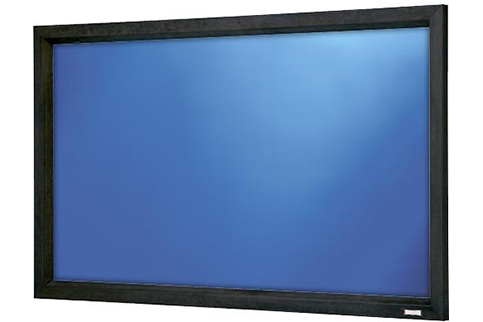 The Cinema Contour screen has a 45-degree angle cut frame for a sleek, modern appearance. It provides a perfectly flat viewing surface for video projection applications. Surface mounts to the back of a black powder coated frame that provides a masking border. Da-Mat, High Contrast Da-Mat, Da-Tex, Pearlescent, Cinema Vision, High Contrast Cinema Vision and Dual Vision up to and including 12-feet high will be seamless. High Power,Audio Vision, High Contrast Audio Vision and High Contrast Cinema Perf fabrics up to and including 6-feet high will be seamless.